Valladolid’s Spanish Primera Division future looks bleak already and the White and Violets are worth opposing when they visit Celta in Round Five action on Saturday. Spanish Primera Division pundits were lining up to pot Valladolid before a ball was kicked after a summer of transfer activity that resulted in the White and Violets losing much of the firepower that shot them to promotion last season. Valladolid has failed to score in each of its first four matches back in the Spanish Primera Division and, apart from Barcelona, the White and Violets have not had the most challenging of early fixture lists. And according to expected goals, Valladolid deserves to be the Spanish Primera Division’s lowest scoring side after four rounds. Celta at 3/4 1.75 -133 0.75 -1.33 0.75 with Black Type is third on the Spanish Primera Division ladder and the closest team to the mighty duo of Barcelona and Real Madrid. Celta boss Antonio Mohamed is new to the job and experimenting seems to be part of his make up, with one expecting him to try yet another system due to Gustavo Cabral’s suspension following his late red card versus Girona last week. Celta fans have liked what they have seen from Mohamed early in his managerial reign, the Sky Blues are unbeaten in their last 13 Spanish Primera Division home games and Valladolid carries a minimal attacking threat. 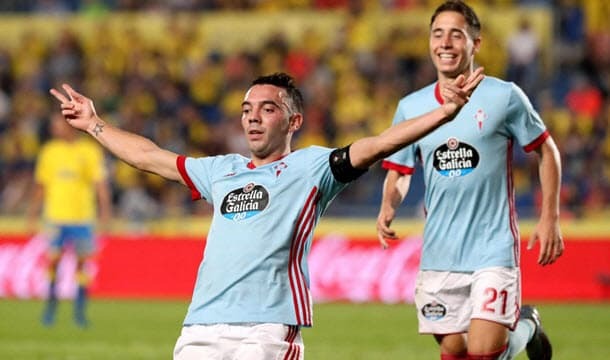 One thinks Celta’s Spanish Primera Division ladder position is a little false – for example, the Sky Blues have seven real points compared to expected points of just over five – but one thought bookmakers would put up shorter odds about Mohamed’s men given Valladolid’s obvious shortcomings. Like Valladolid, Vallecano at 11/10 2.10 +110 1.10 1.10 -0.91 with BetVictor is in the Spanish Primera Division relegation zone but one thinks Rayo can extricate itself with a home victory over Alaves on Saturday. The argument for backing Vallecano to get the better of Alaves is that the latter is flattered by its occupation of the seventh rung of the Spanish Primera Division ladder. According to expected goals, Alaves has been second best in three of its four Spanish Primera Division matches but the Babazorros have seven points to show for their efforts when a fairer, more equitable tally would be around three points. It has been nine and a half years since Vallecano went head to head with Alaves in any form of game so punters do not have direct form lines to assess but one thinks Rayo are likely to finish the Spanish Primera Division competition above the Babazorros on the ladder and, consequently, the hosts are attractively priced at odds greater than evens. Slim pickings on this week’s Spanish Primera Division card so it was difficult to find a third wager but one settled upon Getafe at 19/20 1.95 -105 0.95 -1.05 0.95 with 188Bet not to lose to Atletico Madrid on Saturday. Atletico Madrid has won each of its last eight competitive games versus Getafe so head-to-head form followers need to close their eyes. But Atletico Madrid will be backing up from its UEFA Champions League Group A match at Monaco and, while the Mattressmen kicked off their European adventure with a 2-1 road win, they have not received rave reviews for most of their performances this term. According to expected goals, Getafe deserves to be above Atletico Madrid on the Spanish Primera Division ladder so one is content to back the Deep Blues at odds against on the double chance.